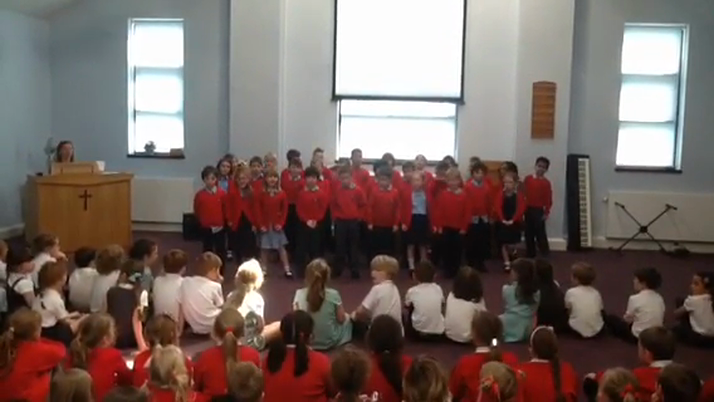 Today we visited Summerseat Methodist Church to join 4 other schools in a collaborative sing. All schools performed 'This Little Light of Mine' & 'I'd like to teach the world to sing' together. We performed 'I'm being eaten by a Boa Constrictor.' We had a lovely afternoon and Mrs Davies, Mrs Baylis, Ms Rumens, Mrs Varden, Miss Eastabrook and I were very proud of the children's behaviour and performance.